PFO (patent Foramen Ovale) is a valve mechanism in the interatrial septum; with growth, left atrial pressure usually closes the foramen. However, it is estimated that it remains open during the lifetime of 15% of the population. The valve mechanism is due to the embryological interposition of the secundum and primum septi, the former growing downwards and the other upwards. The persistence of a PFO can be completely unnoticed, as it causes no symptoms. Only occasionally it is associated to a septal aneurysm and rarely dilates enough to cause Platypnea Orthodeoxia Syndrome, an extremely rare condition when non-oxygenated blood enters the circulation when standing. Percutaneous closure is an excellent solution for this condition. PFO can also cause cerebral embolisms at some time in life. This is because, especially in people with sedentary lifestyles, the venous system tends to produce small thrombi, which reach the right atrium and are generally filtered by the pulmonary circulation. However, when we inadvertedtly perform Valsava manoeuvres, the pressure in the right atrium rises above that of the left. If the valve mechanism is open, small clots can pass into the left circulation and reach the brain. Diagnosis is occasionally after micro-embolism episodes. Dr Amplatz also designed a sealing mechanism, with a right disk that is greater than the left, or the same. This is a simple procedure and we have had no complications in more than 300 treated patients. 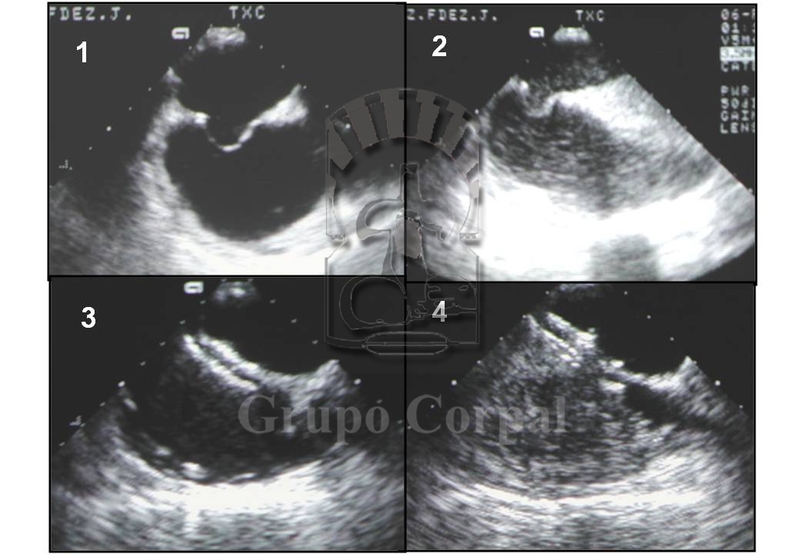 The implantation of any prosthesis required prophylaxis against endocarditis and a completely aseptic procedure. The foramen is crossed from right to left and a guide is lodged in the left upper pulmonary vein. The cannula with the device is passed through it to the left atrium. The cannula is gradually removed and the left disk is released, followed by the right. If the position is stable, the wire is released from the device, which remains in place. 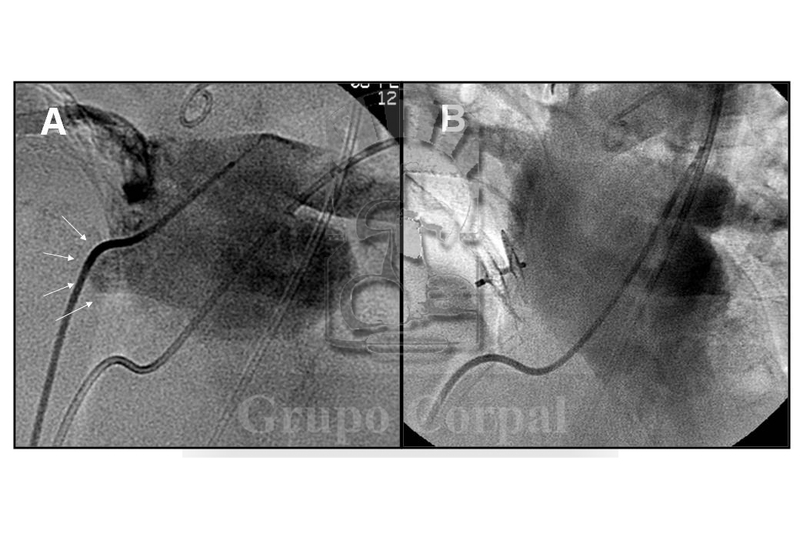 PFO occlusion is effective, covered with neo-endocardium within a month, and prevents new embolisms. An anti-thrombotic regimen is required during the process. Our group has made scientific contributions to the development of the procedure and its results (References…).